Good morning my sweet friends & welcome to another "Tag it Tuesday!" Today my team & I are using this AWESOME photo inspiration here! 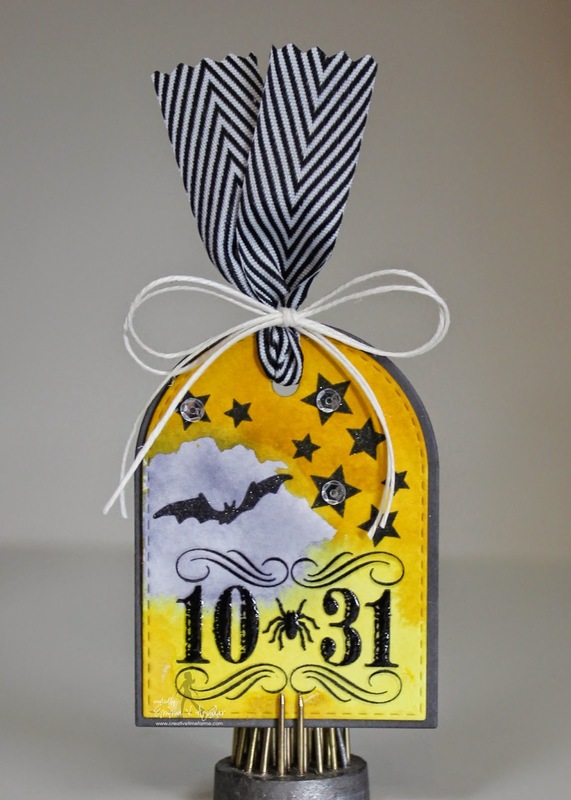 Okay, I do have to tell you that when I saw this color combo I tried 3 different projects before I did THIS one! ;) I really wanted to water color, so I water colored the background using some "Peerless Transparent ". Well, as I was watercoloring, the FIRST thing that came to mind was Halloween! I think it came out "okay", not one of my faves! Glad you had so much creative fun making your tag and again I LOVE IT.....that's my opinion and I'm stickin' 2 it!!!! Have a gr8 day!!! 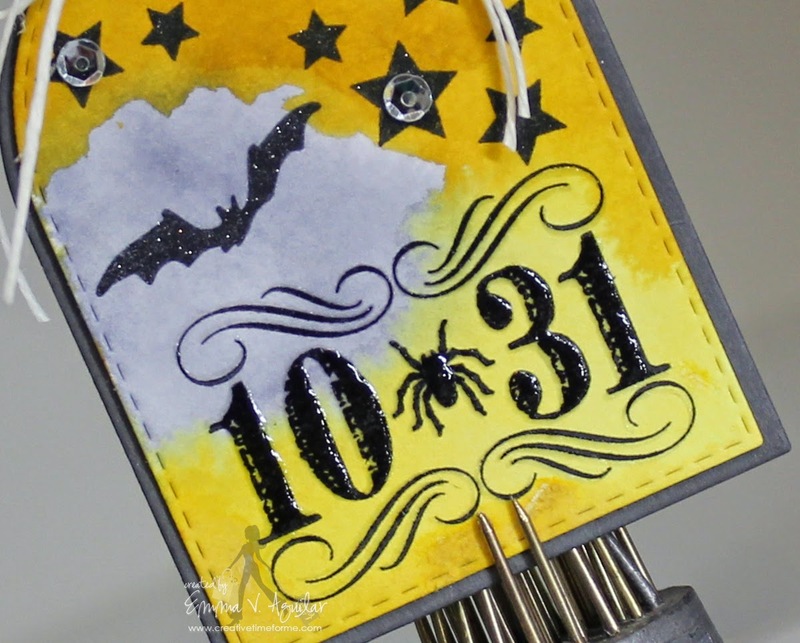 Love your watercolored spooky tag! :-) It came out great! AWESOME job by all! Love all the interpretations by each! Have a great day! Fabulous tags. I love the way you did the background. The DT really rocked this one. Emma love the water colored tag! Thanks for the inspiration! Have a great day! LOVE your tag Emma!!! AWESOME colors!!!!! Your Halloween tag is so pretty. The design team had some awesome beautiful tags.